Have I speled this korrectley? Spelling games for kids listed in this section would not only help the kids break the shackles of relentless cramming to memorize a word’s spelling but also aid the teachers and parents to creatively polish their spelling skills. So are you ready to become the next Spelling Bee? Buzzz… right in now! Game Objective: In this spelling games for kids players not only have to spell the words correctly but also write them quickly. Game Learning: Spelling & Writing skills. No. of Players: 2 or more. Give a pen and a paper to each player. Ask them to make 4 columns as shown here and write PLACE, ANIMAL, NAME, THING at the top. Fix a time limit for the game. Ideally, 5 minutes is good enough but it can be varied depending on the skills and the age group of the kids. To start the game you can announce any random alphabet, for example “D”. The kids have to write a Place (city, country, market, etc. ), Animal (or Bird), Name (any Person’s name) & Thing (any object) starting with “D” in the respective columns quickly. The fist kid to finish all the 4 columns announces the last letter of the word that he/she has written under the column THING. Suppose if the last letter is “M” ( see illustration ), then as soon as it is announced, all the players have to immediately stop writing their current word and start a new row with letter “M”. This would continue till the time ends. Collect all the Game Sheets and check them one by one. Tally the scores and the kid with maximum points would WIN this fabulous spelling games for kids. In case there are only 2 players to play this spelling games for kids, then, as soon as the first kid would say “Start” the second kid would start reading out alphabets A to Z sequentially in his/her mind at a normal speed. As the first kid would say “Stop” the second kid would immediately stop at that particular alphabet and announce the same. The game would then start with that alphabet, one row at a time. The fist kid to complete all the 4 columns would yell “PANT” and the second one would have to stop immediately. Again a new round will start in the same fashion. Play for 10 rounds and then tally the scores as explained above. The kids with Maximum points would WIN this spelling games for kids. Game Objective: In this spelling games for kids a player has to guess & spell out a given word in 6 chances. Game Learning: Logical thinking & Spelling skills. The first player would think of a word in his mind (say LANGUAGE) and will put as many “dashes” as the number of letters in the word on a piece of paper as shown . Then he would write all the vowels that come in that word at the respective positions. Now the second player would get 6 chances to fill up the remaining “dashes” and/or guess the target word correctly. The second player would call out one alphabet at a time (using his own logical reasoning) and if that alphabet fits into the target word then the first player would have to write it down at the respective position. But if the called alphabet is wrong and does not fit into the target word then the first player would draw one line of the hexagon (indicating first of the 6 chances). A hexagon has 6 sides, each side representing the chances the second player would get to complete/guess the target word correctly. For every wrong guess the first player would mark another line of the hexagon as shown . In case the second player calls out an alphabet that comes for more than once in the target word then the first player has to write down that alphabet at the respective positions. If the second player is able to complete or guess the word correctly within 6 allotted chances (complete hexagon) he WINS this fun spelling games for kids. If the kids find it easy or tough to crack the “Hexagon” rule then try playing with a “Pentagon” or “Octagon” rule! A variation of “Hexagon” game that can be played by kids and adults alike is called “HOLLYWOOD” game. The rules of the game are similar to “Hexagon” game as explained above, only difference is that one has to think of the name of a Hollywood movie instead of a target word. The other player has to guess the name correctly in 9 chances. For every wrong guess by the first player second player would cross out one letter at a time from the word HOLLYWOOD. Really a very entertaining spelling games for kids! Game Objective: In this wonderful spelling games for kids the players have to take the clues and spell the given phrase correctly. Game Learning: Spelling & Word formation. To start the game the first player would think of a common phrase and put as many “blanks” as the number of letters in that phrase as shown . Each “blank” would then be numbered sequentially. The first player can give a maximum of 3 clues to the second player in order to help him spell out the phrase correctly. Out of the 3 clues, the first player would initially give only 2 clues and the third one would be reserved for the last and would be given to the first player only if required. The first 2 clues could be anything like “Name of a Country” and “Name of a Continent” as shown and put as many “blanks” as the number of letters in the answer as shown . Each “blank” would then be numbered sequentially. Now, it’s the second player’s turn to solve the spelling puzzle using his own discretion and skills. At first he has to decode the answers of the 2 clues given to him and use the respective numbers to fill the corresponding “blanks” of the target phrase. At this, the first player would write all the Vowels that comes in the target phrase at their respective positions as shown . If the second player makes out the phrase correctly he scores 1 point. 2 points can be awarded if the player is able to guess the answer correctly without using the third clue “VOWELS”. Play for 5 rounds and the kid who scores more points would WIN this brainy spelling games for kids. Game Objective: This is a perfect classroom spelling games for kids that teachers can use to indulge kids in a fun spelling activity. Game Learning: Team work & spelling skills. Writing board, marker pen or chalk. Before the game begins, the teacher has to ensure that the students are sitting in vertical rows. The teacher would Stop & Tap the first table of the row where this rhyme ends. That means, the students sitting in that row are selected. The teacher would then call out a Target Word that the students in the selected row would have to spell in a “Pyramid” fashion as shown. For this, the kid sitting at the front (first) of the row would come forward and write the first letter of the target word on the classroom writing board. Then the second child (student sitting next to the first one) would come and write the first two letters of the target word just below the first one. After this the third student would come and extend the pyramid further by writing the first three letters of the target word as shown. This would continue till the students have spelled the target word completely. If in case a child thinks that the letter added by the kid before her is incorrect then she can correct it during her turn. For example, for the target word “EDUCATE”, a child can correct the incorrectly spelled EDUK by the kid before her to EDUCA during her turn. If the target word is spelled correctly by the students of that row then their team would score +1 points, but if spelled incorrectly then they will get -1 point. The game will continue in this fashion till all the rows get at least a couple of chances. If a team spells a target word incorrectly, then the teacher can write the correct spelling on the classroom writing board using a chalk or a board marker and ask the kids of that row to come one by one and trace their fingers over each letter of the word till the word disappears completely. This exercise (spelling games for kids) will help the kids to memorize the word for the next time they use it while writing. Game Objective: In this spelling games for kids a player has to transform one word into other word following a set of rules. 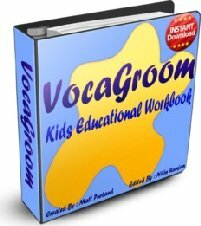 Game Learning: Vocabulary & spelling skills. No. of Players: 1 or more. At the start of the game the kids are given 2 words called the “Begin” word and the “Target” word. The kids have to progressively iterate the Begin word and transform the same into the Target word. The “Begin” and the “Target” word, should not be of more than 5 letters. Typically 4 letter words are best for this spelling game for kids. Only one letter can be changed in one step. The resulting word must be meaningful. The letters of the same word can be jumbled or re-ordered to form a new meaningful word. The player should try to take minimum steps for transformation. Check out some more examples here . Work out a few “Begin” and “Target” words beforehand. This would ensure that the transformation is workable and not too tricky for kids. Make sure that both the words have the same number of letters. Game Objective: A spelling games for kids in which the kids have to spell the word by picking up the actions of the teacher. This spelling games for kids is best suited for smaller children who have learnt to form words. Before the game starts group all the English alphabets according to the manner they are written in a typical English kindergarten notebook. The first group would be the alphabets that are written above the middle line. They are - b,d,f,h,k,l,t . The second group would be the alphabets that are written below the middle line. They are - g,j,p,q,y . The third group would be the alphabets that are written on the middle line. They are - a,c,e,i,m,n,o,r,s,u,v,w,x,z . The fourth and the last group would be the VOWELs. They are - a,e,i,o,u. Now, the teacher would think of a target word (the word can be a 3 letter or 4 letter word depending on the age group of the kids, but must not be more than 5 letter) and indicate to the kids how many letters it contains. The teacher would perform following hand gestures to make the kids spell out the word correctly, one letter at one time. For the letter that falls in the first group, as stated above, the teacher would clap over her head. For the letter that falls in the second group, as stated above, the teacher would clap below her waist. For the letter that falls in the third group, as stated above, the teacher would clap in front of her face. For the VOWELs that falls in the fourth group, as stated above, the teacher would simply Snap her fingers. This spelling games for kids can be tweaked to suite the classroom setup or home environment. Classroom setup can be made competitive by awarding points to the kids making right guesses. Game Objective: A spelling games for kids in which a child has to write a given word in a colorful rainbow fashion. A set of colored pens. There are a set of words that a kid always find difficult to spell. One of the creative and fun ways I have devised personally to help my son is making that word look beautiful like a Rainbow! There are two ways to do that and for both the kid would need at least 7 VIBGYOR colored pens, i.e. Violet, Indigo, Blue, Green, Yellow, Orange and Red. The first way is to make him write the given word 7 times using these colors, every time using a different color and in Rainbow (or VIBGYOR) sequence. The second way is to make him write every letter of the given word using the 7 VIBGYOR colored pens in such a way that every subsequent repetition of that particular letter forms the outline of the earlier one. Likewise, let him complete the whole word one letter at a time. Make sure to follow the Rainbow (or VIBGYOR) sequence. Teachers can adopt this spelling games for kids for their classrooms. They can use 7 different colored chalks (not necessarily of VIBGYOR pattern) or 7 different colored white board marker pens. Game Objective: A spelling games for kids in which they have to hunt for the given word as quickly as possible. Game Learning: Observation and Spelling skills. Think of a word that is not very commonly used (keep in mind the age group of the kids). Ask the kids to first spell that word on a piece of a paper and then hunt for it in the newspapers, magazine, story books, food cartons etc. They must find at least 2 impressions of the given word either on the same or different things (you may choose the difficulty level depending on their age group). They must circle out the word, when found, with their respective color pens. Set a time limit, say 1-2 minutes, and check the status once the time is over. Award 3 points for spelling the word correctly and successfully hunting out 2 word impressions. Give a bonus point for finding the target word on two different things (i.e. one in the newspaper and other in a magazine). Play for 5 rounds and tally the points scored after that. The kid with maximum points would WIN this spelling games for kids! Teacher can adopt this spelling games for kids in their classrooms also. Divide the kids into small groups and increase the required word impression from 2 to 5. This spelling games for kids can also be a nice ice breaker activity in a kid birthday party. Game Objective: A spelling games for kids in which the players not only have to spell the word correctly but also have to move in a definite pattern to WIN the puzzle. Game Learning: Spelling & Spatial skills. Make two teams with 5 kids each. Draw a big Tic-Tec-Toe maze on the floor in front of the classroom board. This can be done simply by soaking a piece of chalk with water and then drawing it on the floor. Initially the lines would appear faint but once the chalk dries up it comes out nice and bright. Now make a list of 5 words on the white board and deliberately misspell any one of them. Ask both the teams to identify the misspelled word and correct it (on the board itself). The first player from a team who does that correctly would step into one of his chosen boxes of the Tic-Tac-Toe maze. Now again write a new set of words on the board with one of them misspelt intentionally. Let the teams compete with each other to pin point the correction and play the “Human-Tic-Tac-Toe” at the same time. Make sure that only the kid who answers correctly (from either team) gets the chance to enter the maze and her teammates do not guide her to occupy a specific box on the maze. Let her use her own discretion for that. Only the players who have not yet entered the maze can participate in pin pointing the misspelt word. Continue in this fashion till a team wins or both the teams play out a draw on the Tic-Tec-Toe . This is a very innovative spelling games for kids that not only sharpen their spelling skills but also hones their minds.